White Toyota RAV4 parked on Ellsworth Street again partially in Street. This also not a permitted parking area. Past couple times I called parking/police on this no one came. Putting it here. This car has has been doing this on and off for years. true. happens all the @#$% time on Ellsworth St. Let's keep up the complaining. some are commuters for sure. I notified parking enforcement to look into this. 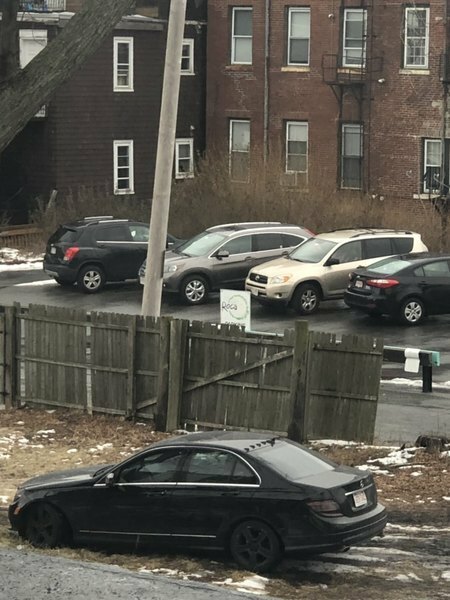 If it happens during city hall hours you can call 617-466-4054 and we can notify parking enforcement to look into. I’ve called twice today and no one has picked up. This is why we are putting them on here since City Hall won’t address. Parked too far from the lines & decreases parking for others. As long as the vehicle is parked legally there is not much we can do.